Dang guys, once again I am overwhelmed by the support, and all the personal emails–many of which made me cry. Part of writing these posts is self-motivation to FORCE me to keep going, because I have committed myself. I really appreciate all the good wishes. This is what I have learned thus far from disk #1. My son doesn’t think the way normal people do. I can’t expect him to be logical. I can’t expect him to react rationally. I cannot expect him to act “normal” when he is upset. He does not have the ability. In other words… I CANNOT PARENT HIM THE WAY I PARENTED HIS OLDER SIBLINGS. Is there something wrong with him? Well, only in that he doesn’t THINK the way most people do. Sounds scary, doesn’t it? My job is to help him work around this. I can teach him to be a normal, thinking adult, but if I don’t act now, the chances of it becoming worse are far too high. Now, I don’t know how to do this yet. Herein lies our frustration. Following the course by the letter, we need to do our workbook and let this all sink in before going to lesson two. BUT WE WANT HELP NOW. I’m turning again to the CD of “10 things to help you right now” and I am listening to it again. Last night, my 6 year old punched my 9 year old in the face because it was bedtime. I called the “help line” and they walked me through what to do. What I needed to do sounded incredibly stupid. What I wanted to do was what my parents did – beat me senseless—but I have to realize that my 6 year old is not me. Returning the anger and spanking will not work with this child. So I sat down and told him everything they said… and he went to bed. The older kids felt like I’d done nothing. I called them aside, and explained “The Total Transformation” to them. They complained that this isn’t going to be fair to them… that they would be punished for things and their lives would have to change because of the youngest. They were not happy. They groan when they start acting up and I hit them with one of the “ten things to help you right now” tips… of course, they then immediately cave and do what I want. Crap – if anything I have to say this stuff works with the older kids without a hitch. The youngest? He can still tirade through it. But it’s a new day in the Eaton household. I’m not really sure what that means. But I’m convicted to making that true. Now that I am a little more “educated” and understand more about my son’s challenges, and our challenges as parents to a behaviorally challenged child, at least I am ready to move forward. At the moment, though… after week one… chaos still ensues. And something upstairs just broke… and yep, there’s the screaming. Bedtime is always such a joy… until next time! Last week I opened up with some really personal information, and I was encouraged by the outpouring of well-wishes, and emboldened by the number of you who contacted me both publicly and privately about your own personal battles. Click here to see last week’s post. This is where we are. It doesn’t even hurt anymore. I’ve managed to turn off my emotions. I wish the rest of the family could. It’s so hard, and my handling things without emotion just leads to fights between me and my husband, which escalate and draw in the rest of the family in one way or another. Like I said last week, this is as close to Hell as I ever want to come. Sorry, I had to mediate the screaming session going on upstairs. (again) and I completely lost my thoughts. Our frustration level with the program is pretty high right now. We want help, but the first disk is really informational. I’m trying to be as positive as I can. I’m trying to keep my husband from throwing it against the wall. Thinking it over, and remembering a comment from someone last week, the first disk seems a lot like a first professional session with parents. It is all about assuring the parents that this is not our fault, which was a big concern. Did we slip on the last one? Was he exposed to too much from his older siblings? Are we too easy on him? Too hard on him? Why is our parenting working on the older kids and not him? Then we have our youngest, who acts out in school, has seen a counselor for anger, and his recent report card rated him at mid-kindergarten level across the board, and he is in the middle of first grade. I quietly contacted the teacher and asked if he was going to be left back. This is when our lines of communication opened with her and his reading teacher. I told them what we were doing, and they were excited and asked how they could help. Hey, I’ll take all the help I can get. I’m going to cut this post here and continue it on Wednesday, because on finishing it I realized it was way too long. I’ll start up right where I left off on Wednesday. Hello. 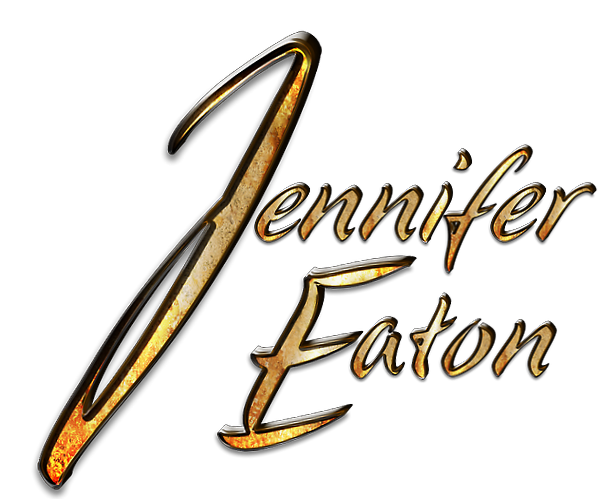 My Name in Jennifer Eaton. And I have a child with behavioral problems. Whew! Getting that off my chest is HUGE. If you have a child with a behavior disorder, be it ADD, ADHD, or any of the myriad of other things out there, just admitting that there is a problem is a pretty big step in the right direction. Since my youngest was two, he’s always been “a handful”. We kept waiting for him to get out of the terrible two’s. I used to joke about him still being in his terrible two’s at five. At six, when his “bad” behavior started becoming violent… when his siblings began to get hurt, when he would scream at us and break things if he didn’t get his way… When I was afraid to sit beside him… when I cringed in fear when my son came near … we realized we had a problem. We tried everything we could think of. But it just got worse. I work full time at an office, and my husband works full time from home. He gets the worst of it. Near the “end” I would drive up and sit in the garage for a little while, preparing myself for what I would walk into. Sometimes I cried before even opening the door. Our lives had become as close to Hell as I EVER wanted to come. Our family was being torn apart. We yelled at all of our children, not just the troubled one. My husband and I started to fight– and quite honestly only our values kept our marriage together. One day, my husband left (again) just because he had to get away from the house. I understood. I don’t know how he keeps sane… but within half an hour my middle son was bleeding from an altercation with my youngest, and I was sprawled on the livingroom floor uncontrollably sobbing, with my oldest son holding me, himself in tears. This had become my life. Lost, alone, and hurting with nowhere to turn. That night, we contacted a child psychiatrist. I was horrified, because being medicine-phobic, I didn’t want to pump my son full of drugs, but I had to protect my family, both physically and mentally at that point, because my other children were being harmed emotionally now. What????? $1200 just to evaluate him? Six more weeks of sinking further into Dante’s Inferno, and not even knowing if this is the right course of action? My husband and I stewed over this for a few more horrible weeks. When one of my husband’s relatives neglected to invite us to a family party, and we found out it was because of our son, my husband lost it. Our lives were falling apart, and our family was hanging by a thread. After much prayer and contemplation, and hearing the radio commercial for the Umteenth time (If that was you, God, sorry I didn’t call the number sooner) I contacted “The Total Transformation”. I’d hesitated before, because my son was only 3, then 4, then 5, now six. I still was afraid that he was too young, but someone on the website said it worked for their six year old. I listened to the first “Quick help” DVD, and tried out one of the solutions on one of my older kids. It sounded dumb, even coming out of my mouth, but my son blinked, looked at me for a minute, and then did exactly what I asked him to do. It was a heck of a surprise! Now, will it work on the problem child? Only time will tell. I’m not expecting a miracle, but I need to do something. I need to get my family back, and I need to save my son. If you have a problem child, you are not alone. You may feel that way, but you are not. We know this is going to be work. I’m not expecting a miracle overnight change. The next seven weeks are probably going to be the hardest weeks of our lives, but if we can get our family back… If we can stop walking on eggshells… if we can stop worrying about our children hurting each other, or breaking things, or even hurting US… wow… taking any one of those things out of our lives would be a step in the right direction. I’m going to let you know how this works for me, because I KNOW there are others out there in situations like this. And if a stupid set of DVDs can give you your life back, then DERNIT I want to let you know about it. I will fill you in as we go along. Take a deep breath, and pray for us. We’re gonna need it. Note: Other than buying this product, I am in no way connected to the Total Transformation, so if it stinks, I will be a fair judge. My husband and I have agreed to follow it exactly, and not take any shortcuts. Trust me… we can’t afford to. We need this to work.